Kind of a fun night in Los Angeles. 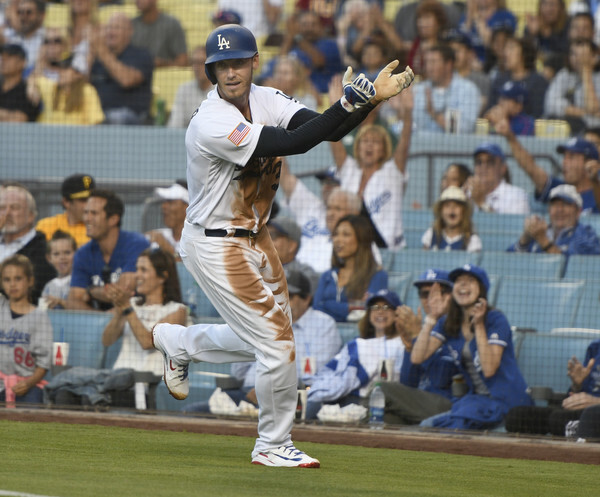 With one work day to go for everyone before a mid-week Fourth of July celebration for the country, the Dodgers got the fireworks going early. They piled 17 runs on the Pittsburgh Pirates, falling one short of tying the Dodger Stadium record. Cody Bellinger hit his 17th home run of the year, and the Dodgers rolled from there. Max Muncy, Joc Pederson, and Matt Kemp all also homered. Now let’s have a little fun with Charlie Steiner, who is a national treasure. The Dodgers move to 1.5 games back of the Diamondbacks with this win, Alex Wood’s fifth of the season.